For some, it could be home-cooked food or snuggling with a furry pet. For a few others, it could be mother’s love or stealing dad’s car for a ride. But to me, and millions like me, BLISS = CHOCOLATE! Wondering where this form of pure bliss comes from? The answer is cacao beans. Cacao beans are the raw material for the multibillion-dollar chocolate industry. But the reason you found this article in the Health and Wellness section is that cacao beans have numerous health benefits and promote wellness. Want to know how cacao helps you? And whether cacao is the same as cocoa? Put your reading glasses on and get started! What Makes Cacao Or Cocoa Beneficial For Health? Cacao (Theobroma cacao), pronounced as ka-KA-oh, is a tropical tree native to the forests of Central America. It bears ribbed, thick-skinned fruits called cacao beans. These beans grow directly from the trunks and larger branches of the tree. Cacao bean pods have 35-50 almond-like seeds, which have shells, separated by sweet-tasting pulp. The seeds are processed to get the cacao powder, with which dark chocolate is made. Archaeologists found evidence of cacao dating back to 1900-1500 BC. The Aztecs used cacao seeds as currency. At places they didn’t grow, cacao beans were luxury. These beans were processed to prepare sweet, frothy, and refreshing drinks, especially in Mexico (1). Now, coming to the pertinent question – how is cacao different from cocoa? For this, you need to understand the traditional processing of the cacao beans. Step 1: Cacao seeds and the surrounding fruit pulp are typically placed in heaps or boxes for natural fermentation. In this step, the naturally occurring microbes multiply using the sugar from the pulp as an energy source. Step 2: The seeds are then dried in the sun or wood-fired ovens and shipped to cacao processors. Step 3: The thin coats of the seeds are separated from the inner embryonic tissue. These naked seeds are then roasted and milled to form chocolate liquor. Step 4: By mechanically pressing most of the fat (cocoa butter) from the chocolate liquor, the crude and most loved cocoa powder is produced (2). Cacao are the seeds that are processed to give a refined extract called cocoa powder. Chocolate is a solid food made by combining cocoa liquor with cocoa butter and sugar. The proportion of cocoa liquor in the final product determines how dark the chocolate is. Milk chocolate is made with the addition of condensed or powdered milk to the chocolate mixture – which typically contains 10–12% cocoa liquor. Semisweet or bittersweet chocolate is often referred to as dark chocolate, and it contains no less than 35% of cocoa liquor by weight. White chocolate contains only cocoa butter combined with sweeteners and dairy ingredients. We binge on chocolates matter-of-factly. But look at the process that needs to be followed to get a slab of chocolate. No wonder it is a multibillion-dollar industry, employing thousands of civilians! All this is great to know. But how does it matter to your health? Why should you eat some bittersweet, fermented extract of a random tropical bean pod? The answer lies in the chemical composition of the cacao beans. Let’s learn some science now! Cacao nibs or the raw cocoa extracts contain relatively high concentrations of polyphenols, lipids, minerals, vitamins, and fiber. Flavanols are the class of polyphenols that are predominantly present in cocoa liquor. Flavanols, especially epicatechin, catechin, quercetin, caffeic acid, and proanthocyanidins, can act as strong antioxidants. Cacao nibs and cocoa powder also have theobromine and caffeine that have various physiological effects. I’ve been going on and on that cacao is good for health and promotes well-being. But how does it exactly do so? What are the benefits of having cacao or its extracts? Read on to find out! Cacao and its derivatives (like cocoa powder and dark chocolate) are rich in flavanols like epicatechin, catechin, epigallic acid, caffeic acid, and theobromine. These compounds scavenge the free radicals generated, particularly in your skin, due to UV and visible light exposure. Dark chocolate has an anti-aging effect as well as anti-inflammatory and antioxidant properties. It has shown to reduce erythema and skin cancers by about 25%. Topical application of cocoa butter can reduce wrinkles, fine lines, dark spots, pimples, blemishes, and breakouts on your skin (3). Magnesium plays a vital role in cell division and growth. It is responsible for anti-inflammatory and repair mechanisms in the cells, especially in the hair follicles. Consuming cacao or cocoa powder can boost hair growth from the roots, more so after menopause. It also prevents inflammation that influences your hair health and growth patterns (4). Contrary to belief, chocolates are good for your teeth – but not the sweet ones. Research says that unsweetened cocoa, dark chocolate, and chocolate liquor contain inhibitors of the dextransucrase enzyme, which is responsible for the formation of the plaque on your teeth. Also, cacao products have an anticaries effect – they prevent any microbial growth in the teeth and gums. Cocoa-enriched diets can cure periodontitis and infections like gingivitis (5). In a rat study, a cocoa-rich diet resulted in a loss of weight and reduction in obesity-related inflammation and triglyceride accumulation. Cacao has anti-hyperlipidemic activity and prevents lipid peroxidation. Since it is rich in antioxidants, making cocoa a part of your diet can reduce levels of ROS (reactive oxygen species) in your body. This means no inflammation of the organs, particularly the liver and blood vessels. In another trial, consumption of 100 g flavonoid-rich chocolate over two weeks reduced total serum cholesterol by 7% and LDL by 12% (6). Cocoa also alters the expression of genes that promote obesity and inflammation. So, in all aspects, cacao ensures that obesity and related complications are kept at bay (7). 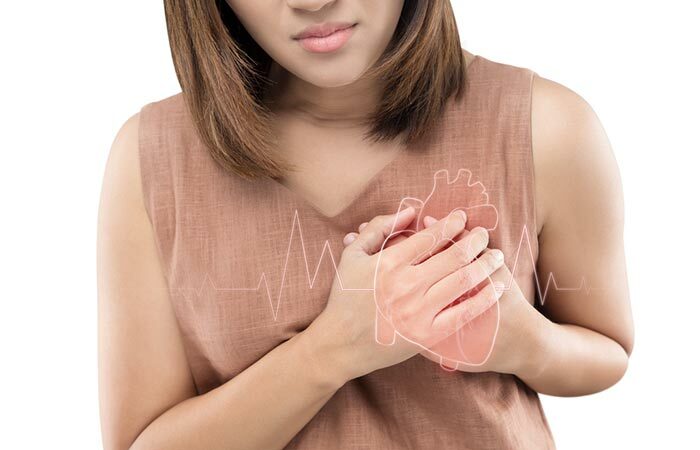 Increased levels of free radicals, LDL (bad cholesterol), and heavy metal ions, paired with reduced nitric oxide (NO) availability and HDL levels, can trigger cardiovascular diseases. The polyphenolic ingredients in cacao, such as procyanidins, flavanols, and caffeine derivatives, work wonders for your heart health. These bioactive ingredients lower hypertension, scavenge free radicals, and boost HDL levels in your plasma. The blood vessels and smooth muscles work better in the presence of cocoa because the bioavailability of nitric oxide (NO) is enhanced. In similar mechanisms, chocolate can keep you safe from fatal cardiovascular diseases like atherosclerosis, coronary artery disease, hypertension, angina, etc. (8). The antioxidant properties of catechin, quercetin, and epicatechin derivatives present in chocolate liquor can prevent neuronal injury and neuroinflammation. These phytochemicals are involved in the formation of long-term memory. Cocoa can also induce new nerve cell growth and increase blood flow in your brain – both of which can be neuroprotective. The effects suggest that chocolate and its precursors can manage dementia, stroke, Alzheimer’s, and Parkinson’s disease effectively (6). Unsweetened cocoa has a neurostimulatory effect. It can uplift your mood, memory, and sleep cycle. This is why it is said that dark chocolate is healthier than the sweetened or milk chocolate. Cocoa is treated with alkali to improve the flavor and appearance. However, this causes a significant loss of flavanols. Natural cocoa, found in the baking aisle, retains the most flavanols. Making cocoa a habit can reduce the production of pro-inflammatory chemicals in your body, according to researchers. 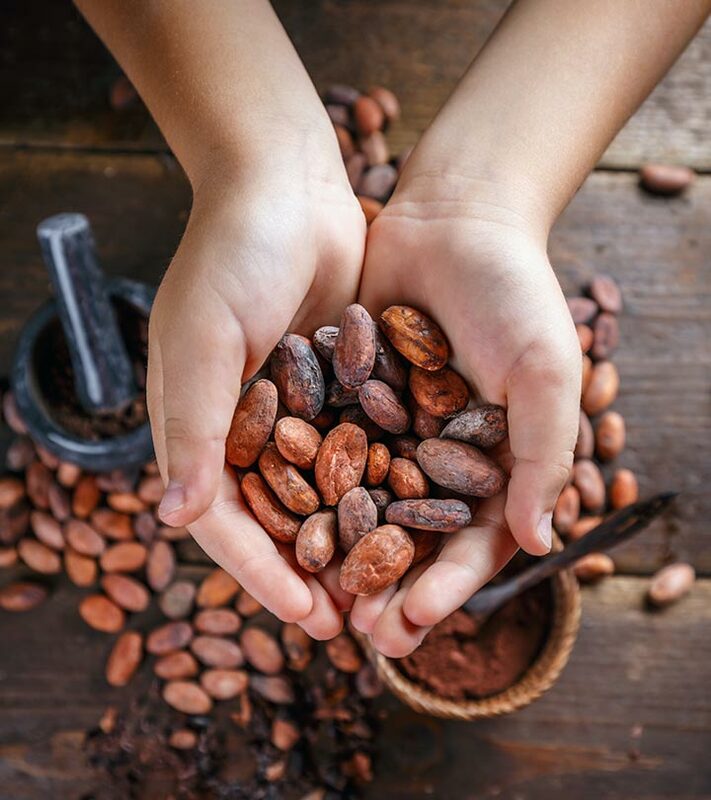 Theobromine, caffeic acid, catechin, epicatechin, procyanidins, magnesium, copper, and other active constituents in cacao derivatives fight inflammation by reducing the activation of immune system cells, mainly monocytes and macrophages (9). Having foods rich in cocoa can prevent and cure chronic inflammatory disorders, namely, irritable bowel disease (IBD), asthma, Alzheimer’s, dementia, periodontitis, GERD, and various cancers. After reading about the benefits of cacao, cocoa powder, and unsweetened chocolate, I was in awe of how nature packs all the phytochemicals into such small (and bitter tasting) cacao nibs. As I said, chocolate is pure bliss to me. But now, after knowing more about cacao, chocolate has become more than precious to me. 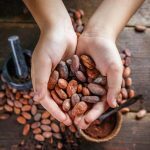 The science and art that go into making chocolate from the bright cacao beans and the scale of this industry show how significant cacao has been across civilizations. Did you ever imagine that the bittersweet dark chocolate can uplift your mood, heal your wounds, protect your vital organs, build bones, and improve your memory as well? I’m sure, no. It almost sounds like an all-cover medical insurance plan! So, add a slab of pure 70-85% dark chocolate to your shopping cart right away. Make sure that you have at least two tiles of the dark chocolate every day. See the results for yourselves! Tell us about your cacao, cocoa, and chocolate encounters and experiences. 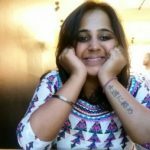 We’d also love to hear your suggestions and feedback about this article. Please use the comments section to share them with us.